Today Kingdom Hearts III director Testuya Nomura has announced a new set of trailers for Kingdom Hearts III via the official Kingdom Hearts Twitter account. Additionally, people who pre-orders the game at Amazon U.S. and Canada will get a "Dawn Until Dusk Keyblade DLC", plus $10 credit will be gifted to Amazon Prime members. 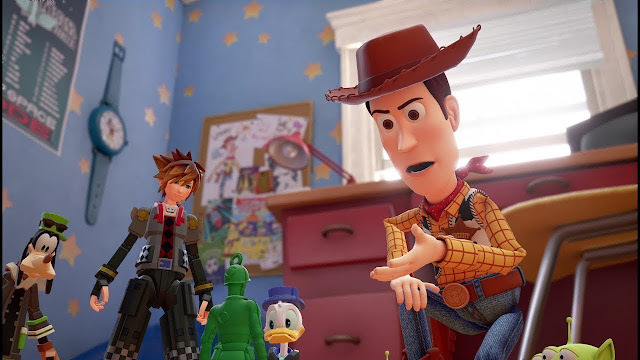 Kingdom Hearts III is set to release on January 25th 2019 in Japan and January 29th 2019 in North America and Europe.